All too often, people take the windshield in their car for granted so it doesn’t occur to them that it has anything to do with the overall solidity of the vehicle itself. This couldn’t be farther from the truth. The windshield is an important part of the car’s safety restraint system (SRS), which also includes obvious components like airbags and seatbelts. 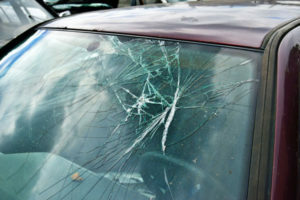 Contrary to popular belief, getting ticketed by the police is not the only consequence of driving around with windshield damage; it is much more serious than that. If you’re operating a vehicle with chipped glass, you could be putting yourself and other people at risk. A little ding may not seem like a big deal–like grinding brakes or steam issuing from the engine–but a cracked windshield is actually quite dangerous, no matter how small or cosmetic the damage may appear to you.